with Patrick Allocco, President of AllGood Entertainment. of AEG had an urgent need to control Michael Jackson in his favor. - Why did you go to Frank Dileo, did you think he was Michael's manager? - Your proposal was a one-day live performance by Jackson siblings in Texas. You were going to film the event for Internet pay-per-view, correct? That is correct. It was going to be at Cowboy Stadium, in Arlington, Texas. - The binder agreement is in Frank Dileo Company letterhead and it states “if you agree with the terms of this contract, sign and return it”. It appears to me as if the agreement was prepared by Frank Dileo Company and NOT AllGood Entertainment. Who prepared this binder agreement? We actually had gone to Nashville, myself, Mark Lamicka, Terry Harvey, his business associate Jimmy Miguel and Ladd Biro. We met with Frank Dileo at his office. The terms were negotiated right there. - In Raffles Van Exel interview, Frank Dileo makes it sound as if he wasn’t that involved with this deal, so he was very much involved? The binder speaks for itself. Who would do that? It’s like me promising to deliver to you Jay Z when I have no authority to do so. - Was the Jackson Family supportive of the AllGood proposal? Oh yes, Joe was on board from the beginning, Katherine was too. I met Katherine with Leonard Rowe on February 3, 2009 at a restaurant in Encino. I went through with her my vision for the show. The biggest thing with Joe and Katherine was that Michael couldn’t do a lot of shows…Michael did not want to do a lot of shows, that is why our deal was very suitable, 1 day of show with substantial amount of money. - You saw Michael, how did he look? He was emaciated. He wasn’t…as Randy Phillips or Frank Dileo claim. I have a very good contact, (name redacted) at TMZ. I did call (name redacted) and sent her documents but they were hesitant to publicize. Frank Dileo’s attorney called TMZ and left a voice message that Dileo wasn’t involved in the tribute, that he didn’t know these people so TMZ added an update. - How did you find out about the fundraising efforts for the tribute? The fundraising email was actually sent to Ladd Biro who was a partner in Jackson Family Show Project. I believe Katherine Susmeier of Starlink didn’t know that Ladd Biro was working with us, she sent the fundraising email to him and he forwarded it to me. - What was Michael’s reaction when he found out that Frank Dileo committed to this deal with you without his consent? That is a really good question…. We really didn’t get into with Michael the binder with Frank Dileo. We were focused on the getting the deal done. -Dileo claims he was Michael’s manager. Have you seen them together? Aside from the photographs in his office, I never saw Dileo and Michael together. -Do you feel Michael hired Frank Dileo as his manager? In my opinion, Randy Phillips hired Frank Dileo. Randy Phillips wasn’t able to control Michael the way he wanted to and Randy Phillips was most definitely angry at us involving Leonard Rowe in Michael’s life. Randy is the one who hired Frank Dileo. - I think so too. In the Raffles interview, Dileo said Randy Phillips, Michael and himself had a conference call during which Michael allegedly hired Dileo as his manager. Dileo stated that when he came to LA, he met with Randy Phillips (@5:27), NOT with Michael who allegedly hired him. - Exactly. I know for a fact that Randy had trouble dealing with Michael. I know this from Dr Tohme, I know this from Dennis Hawk (Tohme’s attorney). Randy Phillips needed a Frank Dileo to control Michael Jackson. Think about it, if you are the CEO of AEG, why couldn’t you deal directly with Michael? - How did Randy Phillips know that Frank Dileo was for sale? Don’t forget, Randy Phillips knew of our deal and we had Frank Dileo. There were 2 people in the world that could have filled, at the time, the management position for Michael Jackson, Frank Dileo and Leonard Rowe. And who had BOTH of them under contract? AllGood Entertainment. We had a non-compete with Frank Dileo AND we had a non-compete with Leonard Rowe. 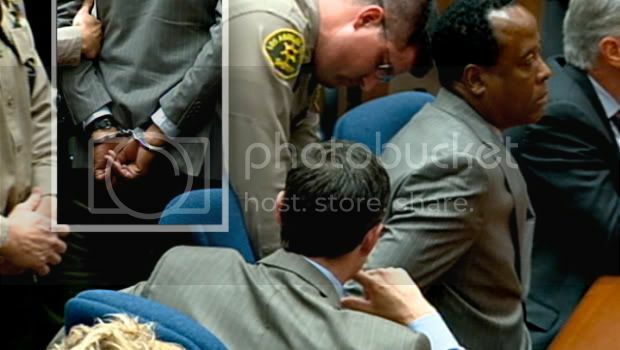 Randy Phillips had to go around us, he was obsessed with controlling Michael. - The last email communication between you and Dileo’s camp was on February 20 in which you stated that you talked to Bert (Dileo accountant) who told you that Dileo wouldn’t move forward without receiving $150,000. At this point, you failed to come up with the money by the deadline. Did Dileo’s camp state that the deal was off or did they indicate that they would be willing to extend the deadline for you to come up with the money? I met with Frank on January 15, I believe….it was the same day the plane landed on Hudson River. Frank told me that he wouldn’t move forward without the non-refundable $150,000 commission. But we found out about the Mark Lamicka scam. Lamicka was one of the signers in our non-disclosure agreement and he is the guy we dealt with in regards to our agreement. We were aware of the federal lawsuit, Lamicka scammed a promoter. So we grew uncomfortable and offered to put the monies in a trust account. So no, Dileo or Lamicka never stopped working for us but the problem was they weren’t producing results so I got on the plane in the first week of February and worked directly with Katherine and Leonard Rowe. But no, Dileo never indicated to us that he wasn’t working with us. Generally, you send a written notice or file a breach of contract, indicating that “I am no longer working for you”, Dileo never did that. Personally, I thought Dileo was a fraud and I wanted to get to Michael myself and that’s what I did. Don’t forget Dileo was telling us the London Shows were never gonna happen, and that Michael didn’t have a deal with AEG…these were the stories Dileo told us and we were skeptical about it. One of my insiders got a call from a guy in AEG that they got a deal imminent to be signed with Michael, this was at the end of January so this told me that Frank Dileo was a fraud. That’s why I retained Leonard Rowe for $15,000 and we met with Katherine and later with Michael. I told Katherine “Dileo asked for $150,000 non-refundable just to be able to talk to your son”. Right. And he said that Michael didn’t want to do our Show. Michael told me, Katherine and Leonard Rowe that he wanted to do our show…..uh…not wanted to but he was going to do our show. And he said so to his father in April. This was the first time his father had seen Michael in over 3 years. His father said “let me say my peace” and he explained to Michael that he should trust Leonard Rowe oversee his business affairs. - Was Katherine Jackson supportive of the O2 Tour? I know that she was very concerned that Michael physically could not do it. In terms of supportive, I am sure Katherine was supportive of the money that Michael would make but I know that she was concerned that Michael couldn’t do the shows. She had that conversation with me and she he had that conversation with Leonard Rowe. - Before you sent the cease & desist letter to AEG, did you communicate with Dileo’s camp one last time? I didn’t have to because around March 26, Michael asked Leonard Rowe to talk with Frank Dileo. I don’t even know to this day what transpired in that meeting, I really don’t. I don’t even know what the purpose of the meeting was you have to ask Leonard about it. I know that Michael wanted the two of them to meet. There was always conversations with either Terry Harvey who spoke with Dileo a number of times, with Leonard Rowe who spoke with Dileo or Katherine Jackson who spoke with Dileo. And there was always communication. At that point, I didn’t need to because I was talking directly with Michael, with Dr Thome, with Leonard Rowe. To me, Dileo was fraud, a guy who violated my non-compete by going to work with AEG, I had no use for Dileo at that point. - Do you know when Tohme was fired? “Will the Real Michael Jackson manager please stand up”. It was around that time. It was after the Julien Court. Michael was sooo upset that Tohme auctioned his stuff without his consent. I remember Michael saying “I am never talking to him again” and he stopped taking his calls. - He said that to you? No he said that to Leonard Rowe, I was in the room, we were at the hotel, Sportmans Lodge. Michael was very upset and we were trying to stop the auction. Leonard and I was going to meet with Joe at the court to stop the auction but Tohme worked out a deal with the auction House. That was the point Michael stopped all contact with Dr Tohme. Terry mentioned the movie “Cadillac Records” in which record company pays the black artist in Cadillac. The artist ended up alcoholic, drug addict and penniless. We took that movie and Terry threw it on Dennis Hawk’s desk and he said “If we don’t stop them, this is how Michael is going to end up”. We always knew from people around Michael that he was addicted, what he was addicted to…I can’t tell you. Everyone around him know about it, we knew it, Leonard knew it, his mother knew it. Even Randy Phillips said in an interview that Michael didn’t show up to rehearsals. His behavior was consistent with someone with drug problems. One day, I remember clearly, we were driving up the Ventura boulevard. Terry kept telling me and Leonard about “mission to save Michael…mission to save Michael”. I thought, at the time, that he was over-reacting. I know people with drug problems and they don’t always die. Now looking back on it, he couldn’t have been more right. And the night Michael died I told Terry that we failed our mission…. It was very tragic. I wish the Michael Jackson story didn’t end the way it did. It was the most surreal experience of my life. Terry was in talks with Dileo in regards to our deal and based on Dileo’s representation to us, we thought Dileo was in Michael’s life as his manager. - You saw Dileo’s Raffles interview. Is there anything from that interview that you don’t agree with? 1 day event. The first day we went into his office, he was very enthusiastic. I left that day with a draft of our binder agreement, he was very involved, he had a clear vision for the show and how we should go about getting there. Did Michael Jackson hire Leonard Rowe? KATHERINE JACKSON: MOTHER OF THE YEAR?